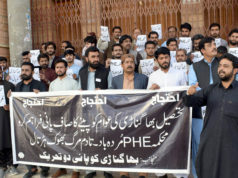 Quetta: All Balochistan Progressive Private Schools Association staged a protest demonstration against Private Schools Regulatory Authority Bill in front of Quetta Press Club, on Saturday. 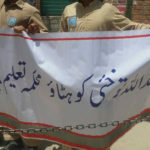 A large crowd of Private School teachers and Students chanted slogans for their rights and repealing of Private Schools Bill. Nawaz Pandrani, Advocate Umer Farooq, Ateeq Baloch, Aman Ullah Mengal and others said that Balochistan Education Foundation (BEF) is just a NGO’s and we will never work with them. Nawaz Pandrani said that Balochistan is lagging behind in literary rate from other provinces of Pakistan due to the lack of basic facilities in government schools. More than 25,000 private schools are busy in promoting Quality education in Balochistan. Private Schools Regulatory bill is a way to facilitate some selected community which is injustice, Mr. Pandrani lamented. 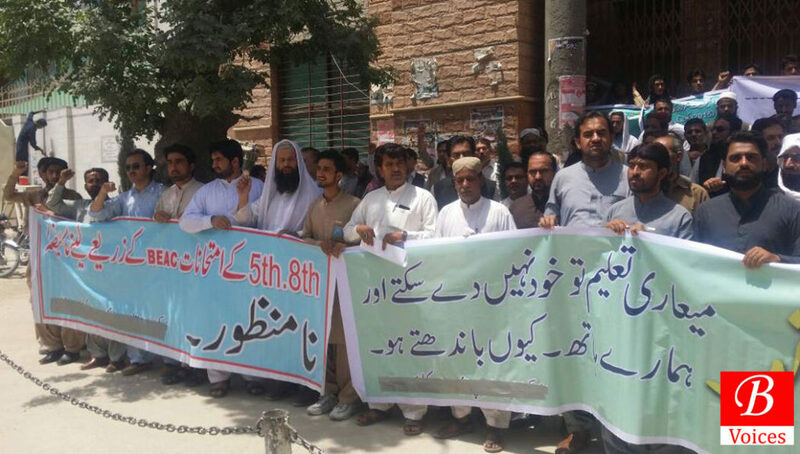 Sharaf-U-din, a private school teacher, said that more than 200 Government Schools are deprived of basic facilities. There is no furniture and other needed things are not available for teacher and students. Former Chief Ministers announced 280 Million rupees for private schools which have still not been released, Mr. Zehri lamented. He further added that big amounts have been lashed on the hands of corrupt people on the name of education but situation of facilities in schools is still disgusting. Adil Nazeer Hassni, a Private School teacher said that 5th and 8th class board exams are a way to promote cheating atmosphere. We will not allow anyone to play with the future of Balochistan. The other Speakers said on the occasion that students of deprived motherland Balochistan are able to keep high with pride the name of our province on every platform. 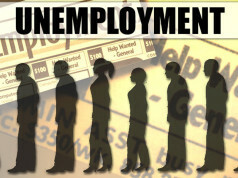 If the government will not approve their demands than they will extend demonstration on district level. 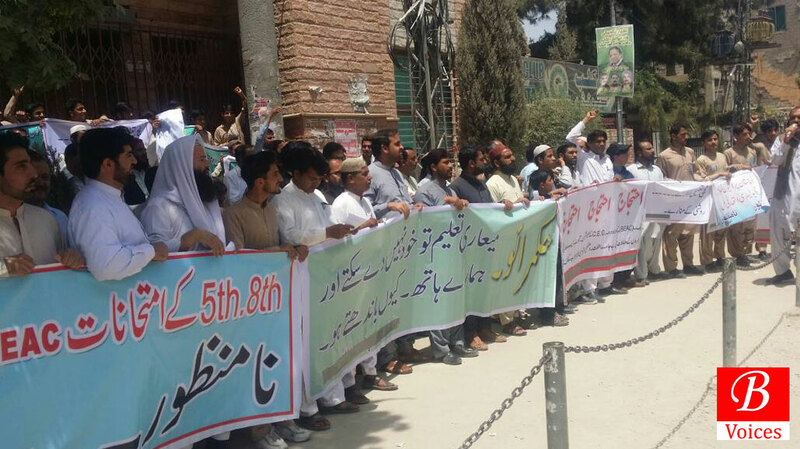 “After 11th May we will start long march from all districts towards Quetta,” claimed the protestors. 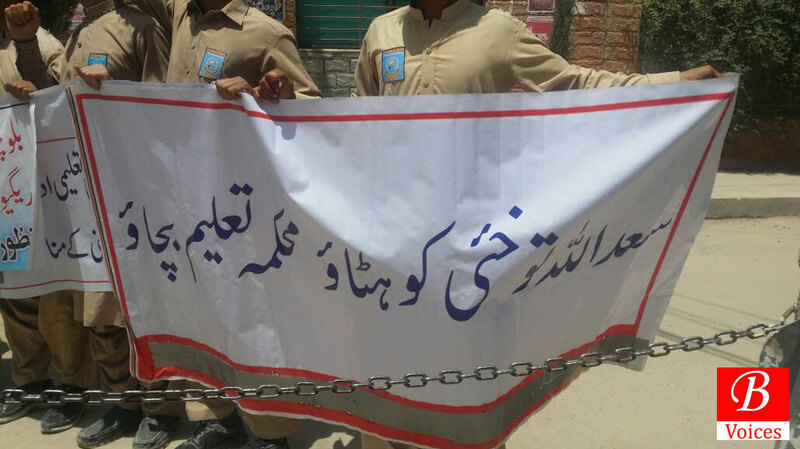 All private schools will remain close for a week in Balochistan. They will organize demonstration in front of Balochistan Assembly and will also march towards Islamabad. 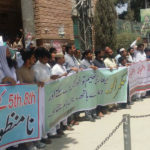 Demonstrators demanded from Chief Minister Balochistan Nawab Sana Ullah Khan Zehri and Governor Mohammad Khan Achakzai to take serious actions and resolve their problems on early bases to save bright future of educated Balochistan.